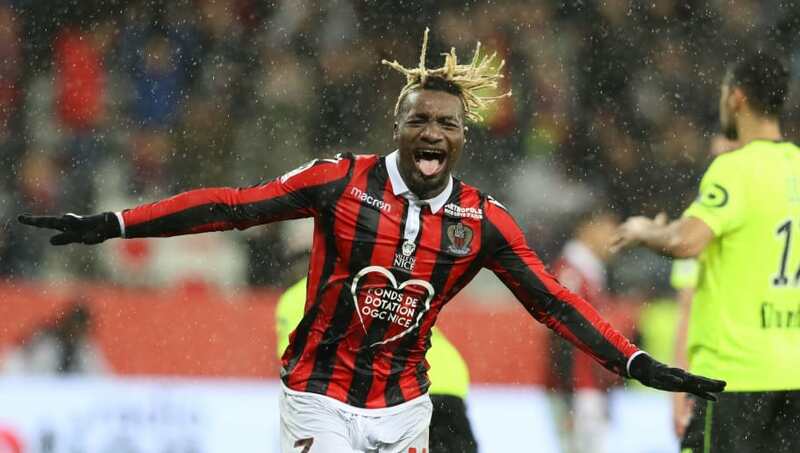 AC Milan appear to have won the race to sign OGC Nice's highly-rated winger Allan Saint-Maximin, with reports claiming the San Siro side have agreed a €20m deal for the player. The 21-year-old began his career with AS Saint Étienne, but was unable to break his way into the first team. It took a loan spell at fellow Ligue 1 side Bastia for his talents to finally be noticed, and the player ended a brief sojourn in Monaco to join Nice the following season. Saint-Maximin is now an established talent, and has scored six goals in the current campaign. ​According to Sport Mediaset, ​AC Milan came close to signing their target in the January window, but their last ditch attempt to complete the move fell through. However, Nice have now reportedly secured a deal worth €20m with I Rossoneri, and the player is said to have agreed a five-year deal with the club. However, this is said to be dependent on the club's qualification for the Champions League, which is still far from certain in a tightly packed ​Serie A table. As things stand, Gennaro Gattuso's side are clinging on to fourth place, but Atalanta, Roma and Lazio all have just two fewer points. Last summer, ​Saint-Maximin was ​heavily linked with ​Liverpool, but the Reds cooled their interest after securing the services of Xherdan Shaqiri. The player's ability to play across the frontline was thought to be of great interest to Jürgen Klopp, with the charismatic coach known for his penchant for versatile players. Meanwhile, ​Arsenal are believed to be preparing to go head-to-head with Milan to sign Porto forward Yacine Brahimi this summer. The Algerian ace has been in sensational form for his side this season, and could offer either side some real pace on the wing. The player's contract expires in the summer, he could be signed as a free agent at the end of the season.